Following a tip from your reliable fence, you travel deep into the woods to The Addicott Manor. Hidden within is six priceless pieces of jewellery. Rumours abound that the place is haunted, but that’s okay — you’re a professional thief and the fewer people nosing about, the better. My initial trajectory on this game was all wrong. I half-expected mild horror and puzzles, given the very ludic “find six Macguffins” briefing. This is no parser puzzler. The better expectation is something like the more deadly Choose Your Own Adventures for young adults. 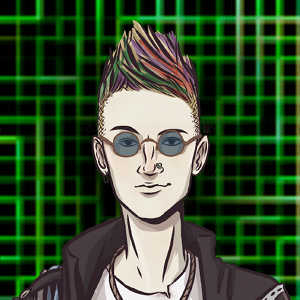 The game seems to be written in a custom web engine similar to Twine. The main narrative is given in a central box and any choices are given as single numbers below with their description in the text itself. It’s clumsy but you can take it as a streamlined version of CYOA (without the extraneous section numbering). The introduction is incredibly verbose, spelling out the situation bluntly and over very many long pages. The artifice of the story is a little too obvious with the author and the PC struggling with signalling the requisite horror tropes but also walking blindly into them. A much shorter version might work better as a game, though the longer form fits the CYOA aesthetic of slowly getting you invested. Eventually you get to the manor itself and the game swiftly reveals the type of horror it is. Don’t expect a mild Scooby-Doo horror with rubbery cobwebs and portraits watching you. 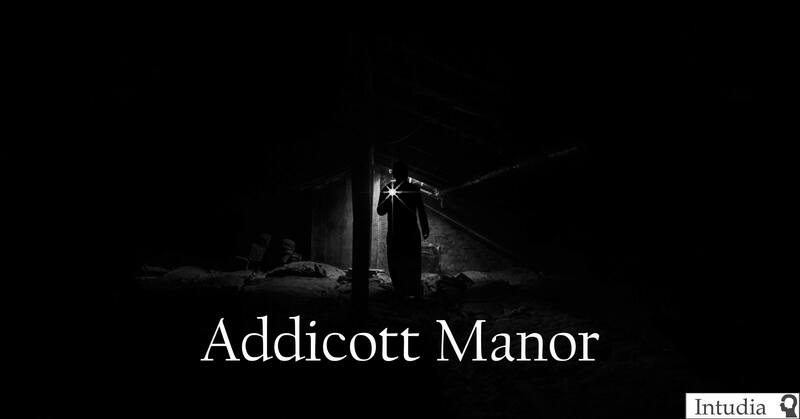 Addicott Manor is full of the depravity and violence of a splatter horror film. While the setpieces are interesting, the writing is a little too loose and verbose for the full effect. When you try to befriend a crazed English butler, you and he trade lines, each overworking calling each other “Mate”. The PC will splutter out a few whole sentences before being pummelled with a brick or drowned under water. When the PC dies you can undo and replay the last choice. The violence and general disregard for character makes it feel like the female protagonist is merely bait for whatever death traps await you. Once you realise that you can undo, it takes some of the edge off the horror. What could have been a tense exploration of a spooky manor becomes a breadth-first search where every dead end is… well… a gory demise. Add into that the fact that most of your choices are made with zero knowledge (especially including a long chase scene through sparsely described T-junctions), and the distance grows between the player and the horror inflicted. I felt like a bumper car, pummelling through choices, sometimes stopping to read the description, sometimes just skimming through, sometimes having to back up because my PC got torn to pieces for walking into the wrong room. I think with some interface polish and an editor willing to make the writing much tighter, this could be a decent horror CYOA game. In the end, what is presented hinges on the tolerance of the reader to messy writing, extravagant violence, and blind gameplay. It’s okay, but anything more is the player’s lenience.